Our team of mechanics can help you solve your mechanical problems and servicing requirements at a reasonable cost.. All our mechanics, panel beaters and spray painters are trained to the highest standards. Car repairs are services which are needed when something is not working properly or when a part or panel may be worn, damaged, scratched or broken to the point where a replacement is required to maintain the performance, look and feel to your vehicle. 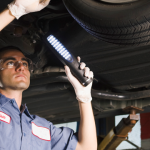 When it comes to mechanical, body work or electrical issues it may be difficult or dangerous to operate a car or van that needs to be repaired. Feel free to fill out our quick quote form here to get a price on servicing or repairing your car. We’ll get back to you as soon as possible. 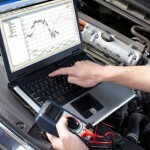 Our garage is equipped with the very latest in computer diagnostic equipment. We can service any make or model of car with original equipment parts and at extremely competitive prices. 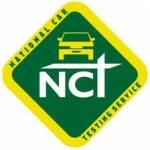 We can arrange Pre-NCT inspections or remedy any NCT failure issues your car may have. 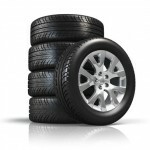 We offer a wide range of tyres from budget to premium brand.